Wednesday’s Special – !!! !Ham & Aged Cheddar Panini!!!! 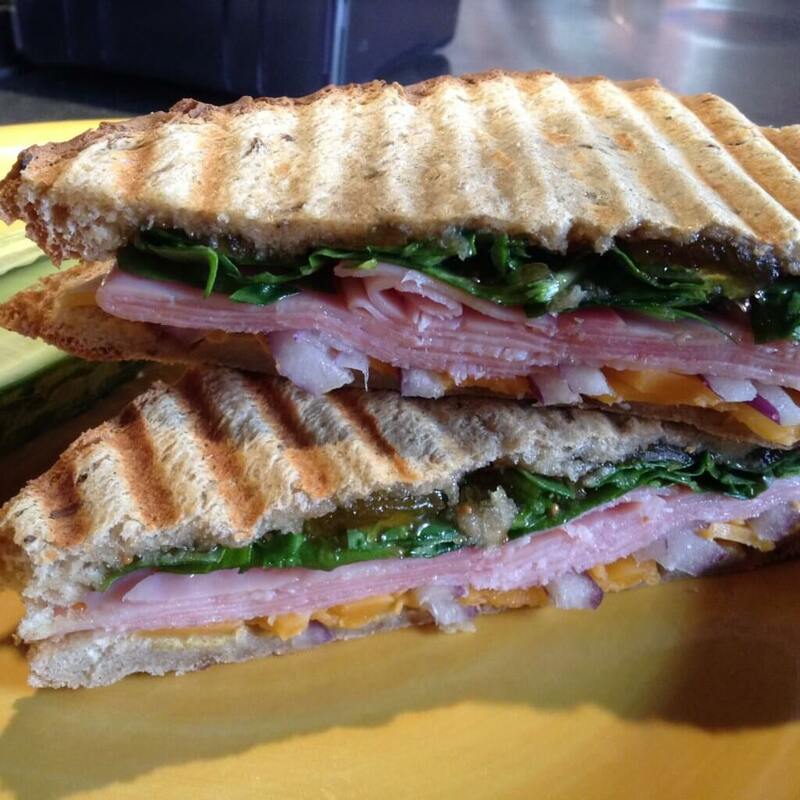 Thin sliced deli ham, Cabot’s aged Vermont sharp cheddar cheese, red onion, baby spinach, fruit preserves, and a touch of spicy brown mustard, pressed in your choice of hearty wheatberry, seeded rye, or Italian panini bread! Thursday’s Special – !!! !Grilled Cheese & Soup Combo!!! !